WASHINGTON, DC, February 4, 2011 (ENS) – Oil and gas service companies have injected over 32 million gallons of diesel fuel or hydraulic fracturing fluids containing diesel fuel into wells in 19 states between 2005 and 2009, without permits, a congressional investigation has revealed. Begun by three Democratic members of the House Committee on Energy and Commerce in February 2010, the investigation looked at the potential impact on water quality of using diesel fuel injected at extremely high pressure to crack rock seams, releasing the natural gas and oil trapped within. Under the 2005 Energy Policy Act, any company that performs hydraulic fracturing using diesel fuel must receive a permit to be in compliance with the Safe Drinking Water Act. In the course of their investigation, Representatives Henry Waxman of California, Edward Markey of Massachusetts, and Diana DeGette of Colorado sent letters to 14 oil and gas service companies requesting information about the type and volume of chemicals they used in hydraulic fracturing fluids between 2005 and 2009. All the companies voluntarily provided the committee with data on the volume of diesel fuel and other hydraulic fracturing fluids they used during the five year period. Twelve of the 14 companies acknowledged using diesel in their fracking operations. The EPA’s Office of Research and Development also is currently conducting a scientific study to examine the possible relationships between hydraulic fracturing, or fracking, and drinking water quality. “A key unanswered question is whether the unregulated injection of diesel fuel or fluids containing diesel is adversely affecting drinking water supplies,” the legislators wrote to Jackson. None of the hydraulic fracturing service companies track the nearness of the wells they fracture to underground sources of drinking water, which they said is the responsibility of the oil and gas well operators. Analysis of data provided by the companies shows that BJ Services used the most diesel fuel and fluids containing diesel, more than 11.5 million gallons, followed by Halliburton, which used 7.2 million gallons. Four other companies, RPC (4.3 million gallons), Sanjel (3.6 million gallons), Weatherford (2.1 million gallons), and Key Energy Services (1.6 million gallons), used more than one million gallons of diesel fuel and fluids containing diesel. Of the 19 states where diesel-containing fluids were injected, Texas accounted for half of the total volume injected, 16 million gallons. The companies injected at least one million gallons of diesel-containing fluids in Oklahoma, North Dakota, Louisiana, Wyoming, and Colorado. In total, the companies used 10.2 million gallons of straight diesel fuel and 21.8 million gallons of products containing at least 30 percent diesel fuel. “The industry has been saying they stopped injecting toxic diesel fuel into wells. But our investigation showed this practice has been continuing in secret and in apparent violation” of the Safe Drinking Water Act, said Waxman, a former chairman of the House Committee on Energy and Commerce, and currently the panel’s ranking Democrat. Diesel fuel contains toxics, including benzene, toluene, ethylbenzene, and xylenes. The Department of Health and Human Services, the International Agency for Research on Cancer, and the U.S. Environmental Protection Agency have determined that benzene is a human carcinogen. Chronic exposure to toluene, ethylbenzene, or xylenes has been shown to cause damage to the central nervous system, liver, and kidneys. While fracking is used in more than 90 percent of natural gas and oil wells, not all fracking operations use diesel fuel. 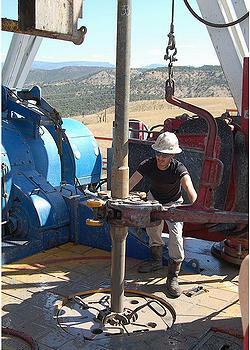 Other fracking fluids are water-based, but some formations cannot be cracked by these fluids because clay or other substances in the rock absorb water. Last August, more than 25 conservation organizations wrote to Waxman and Markey and separately to the EPA, urging probes into the use of diesel in fracking operations and its effect on drinking water quality. The Environmental Working Group is pleased that their prompts have yielded information.